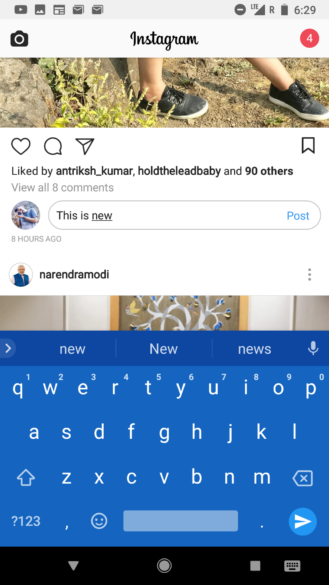 Engadget got in contact with Instagram and learned that the feature began rolling out to iOS users a month ago, and that it's just now hitting Android. 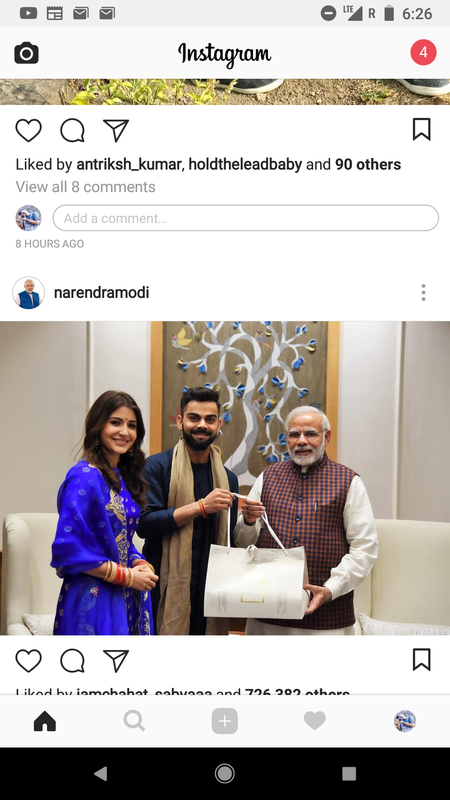 We know Instagram is working on a lot of new and interesting things, some of which have already started surfacing, but this one is a minor yet welcome change. 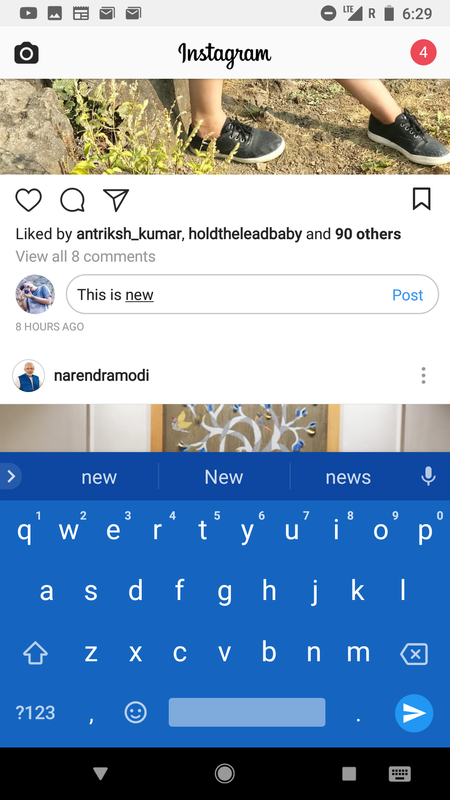 Some users are starting to see a new inline comment box while scrolling through the feed, which lets them quickly write down a comment and post it. Initially, we'd thought that Instagram might be using some sort of algorithm to determine which posts this comment box would pop up in, but as one of you in the comments pointed out, it simply pops up after a few seconds of looking at any post (thanks, Yuric). This behavior makes sense; you're probably more likely to comment on a photo that you haven't just scrolled past. The comment box will remain on those posts if you scroll down your feed and go back up again, but it disappears when the app is closed and reopened. This appears to be a server-side change: our tipster has it on the stable v26 of Instagram and Richard has it on the alpha v28 version. Neither I nor Artem see it on v27 beta or v28 alpha. You can try grabbing any of these from APK Mirror to see if they raise your odds of getting the inline comment box, but I doubt it will work. 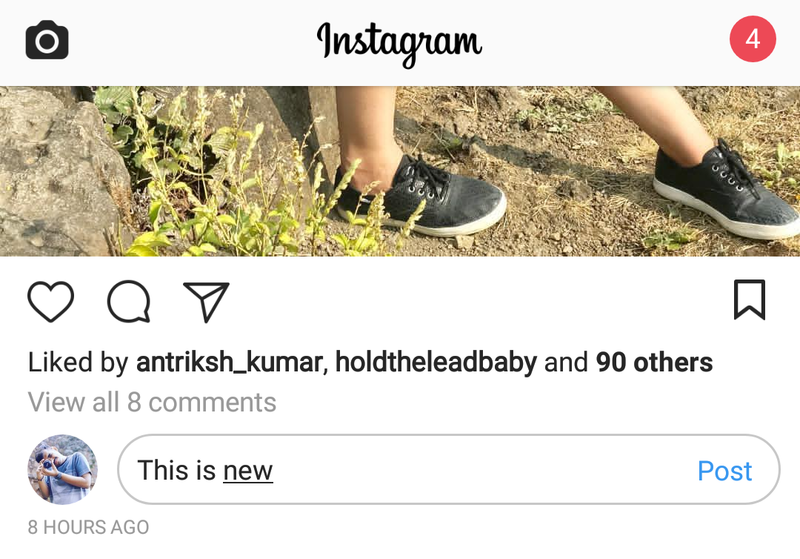 Still, this is a nice change and one that will hopefully make comments and interactions easier on Instagram.